Hong Kong In-Media strongly believes that Public Broadcasting should be independent to ensure the freedom of speech and expression in Hong Kong. The recommendations put forward by Government in the “Future operation of the Radio Television of Hong Kong (RTHK) and new RTHK Charter" has ignored the fundamental suggestion put forward by the “Committee on Review of Public Service Broadcasting" that a “truly independent public broadcaster should be developed" in Hong Kong. We therefore express our our disappointment and regret towards such misleading consultation. 1. We oppose the Government’s recommendation to maintain RTHK as a government department to perform the role of public broadcaster. According to the report drafted by the “Committee on Review of Public Service Broadcasting", it is essential for Hong Kong to set up a truly independent public broadcaster and RTHK is not necessarily the agent to perform this function. If the Government takes the committee recommendation seriously, it should consult the public on the idea and implementation of “a truly public broadcaster" in Hong Kong. However, the consultation paper published in last September by the Government once again shifts the focus from the development of public service broadcaster to the status of RTHK. We believe that such shift in focus intends to mislead the public in the discussion. The Chairman of the “Committee on Review of Public Service Broadcasting", Mr. Raymond Roy Wong, openly criticized the Government on newspapers (Ming Pao 13-4-2010) that “even the most fundamental view has not been accepted … … it’s a waste of time. Now the administration has made the decision, and what else can we say?" We should not copy North Korea model and set up an “official broadcaster" pretending to be “public broadcaster". We agree with Mr. Wong’s criticism and we have to prevent our public broadcaster to be degraded into CCTV, a government mouthpiece. Such move would strangle the space for the development of a genuinely public broadcaster in Hong Kong. 2. We believe that a truly independent public broadcaster should be separated from the government. Production staff should not be civil servants. We express our great disappointment and frustration on the government’s proposal to reorganize RTHK into an official government media. 3. The recommendation of a 12-member RTHK Board of Advisors reflects the government mentality in “monitoring" RTHK’s production. Even though government officials explained that the Board have no real power, as an advisory body built into the institution, it is bound to impose pressure on the broadcaster’s daily operation. 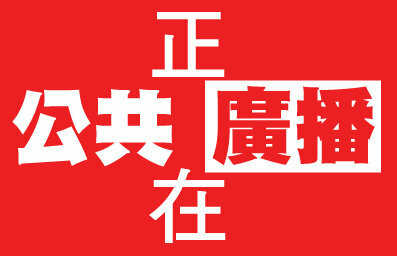 Furthermore, we believe that the so-called “broad based cross-sectoral" advisory body would eventually turn into another abnormal tissue just like “functional constituencies" which represents the opinions and interests of pro-establishment privileged class in the Legislative Council as all the members would be appointed by the Chief Executive. We believe that the public broadcaster should be monitored by people rather than by any government appointed agency. 4. The existing broadcasting policy that facilitates media monopoly, together with the undemocratic political system, have distorted local media’s ecology. Mainstream media are “harmonized", TVB was ridiculed as CCTVB, and many other media are either captured by “red" capital (mainland Chinese capital) or self-imposed censorship. This is the situation why RTHK has been playing an increasingly significant role in Hong Kong. In the recent “City Forum" controversy, pro-establishment Legislative Council members gave pressure to RTHK collectively by refusing to attend the forum. RTHK yielded and agreed to set up iron barriers between the speakers and the forum audience. We can see that the editorial independence of RTHK is gradually eroded by the ruling class. To protect the free speech in Hong Kong, it is essential to ensure the independence and autonomy of the new public broadcaster. 5. We reiterate our comments in last year that the Government should conduct research on a public broadcasting model that can accommodate more citizen participation. The Government’s narrow definition of public broadcasting as a “service" instead of “a means for empowerment of citizen" has limited the mission of the public broadcaster. The consultation paper repeatedly states that the objective of public broadcasting is “to promote development of civil society", but it has not elaborated concretely its role in promoting and developing the civil society. At present, civic organizations neither have the skill nor the opportunities to participate in the production of public broadcasting. We recommend the government to set up community based media centers, together with a community broadcasting fund for media education, production training, and facilitating the cooperation between professional producers and civic organizations in program production. Moreover, the Government should release multi-media resources for re-creation and re-production by promoting Creative Commons License among public broadcasters. Last but not least, the government should open up air-wave as soon as possible, return the right of broadcasting back to Hong Kong people.